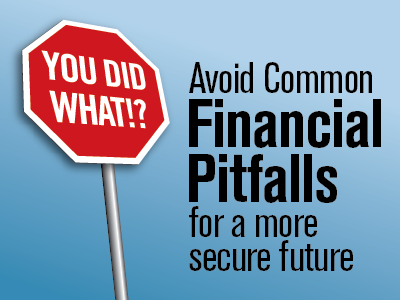 Avoid common financial pitfalls for a more secure future. In life and matters of the wallet, rest assured that we all make mistakes. Mistakes are a critical part of our education process – but when it comes to your finances, some lessons and consequences can be quite lasting. In an effort to help you learn from others, and potentially save a great deal of money and heartache, you may wish to review some of the following most common financial mistakes, and ways to avoid or mitigate them. While saving for retirement, many focus on the advantages of traditional Individual Retirement Accounts (IRA) and employer sponsored retirement plans. The advantages of these accounts include a regular savings method that reduces your current, overall taxable income – since your savings contribution comes “right off the top” of your paycheck; and the ability for your employer to make contributions, thereby growing your savings at no additional cost to you. Three Numbers to Remember: 5 – 2 – 9. Every year we hear that private and public college education costs are rising. And now we hear that college graduates’ debt loads are climbing right along with tuition prices. (According to the New York Times in 2011 the average undergraduate who borrows leaves school with about $30,000 in debt.) The economic downturn of a few years ago added some discouraging footnotes to this fact, including a burgeoning list of students dependent on financial aid from higher education institutions and disturbing headlines now asking "Is it worth it to go to college?" 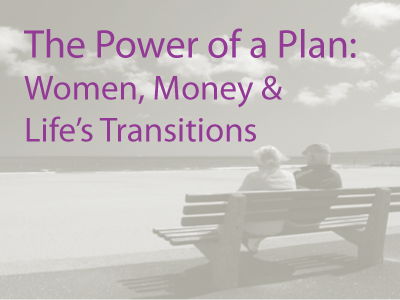 A different approach to a difficult transition. 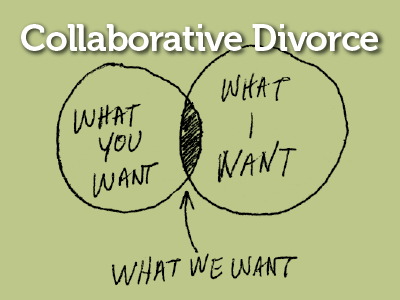 It may seem a bit ironic to use the words “collaborate” and “divorce” together, but it is an alternative approach to dissolving a marriage that’s worth a close look if you are facing this major life transition. 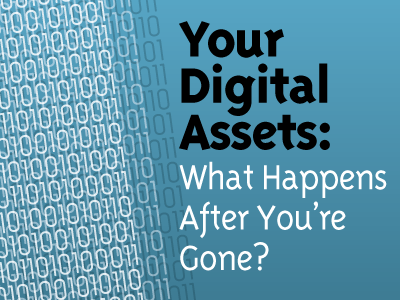 Your Digital Assets: What Happens After You're Gone? Chances are most of your important financial information is kept digitally, either in various accounts online or on your personal computer at home. These days, years of family photos and scrapbooks are often kept online too with Flickr or Facebook. If you’re a small business owner with registered domain names, a thriving e-commerce website or a money-making blog, you should recognize these as important digital assets as well. Have you thought about what will happen to these financial and sentimental digital accounts when you die? Just when it seems things can’t get any busier – December arrives. This month is typically loaded with family obligations, year-end business deadlines, and increased spending. This potent mix can wreak havoc on your budget and ultimately your ability to meet your own financial goals. To sleep a little easier this month and next, it may help to set aside a few hours now to firmly review your financial position and consider your goals and commitments in the coming New Year and “tax season”. Fiscal Cliff? It's Possible to Scale it and Climb Higher. There's been talk about the possibility of the U.S. economy "going off a cliff" at the end of this calendar year. What is this "cliff" pundits are referring to? It's actually a possible culmination of a number of government tax and benefits changes scheduled to impact our economy simultaneously. Specifically, the Bush tax cuts and payroll tax cuts are due to expire (which would impact workers' take home pay) and extended unemployment benefits will also expire (which would eliminate an income source for those out of work.) To further complicate the situation, higher Medicare taxes will take effect and certain government discretionary spending is scheduled to halt. Disability Insurance: Why it's worth a close look. Wouldn’t you love to have a very accurate, high definition crystal ball? One that gives you a clear view of what might come in the days, months, and years ahead? Of course there’s little use in wishing to see the future. All we can do is work with the facts and statistics of what we know today, to help prepare for tomorrow. Does Long-Term Care Insurance break or protect the nest egg? It may seem a bit unusual to be examining insurance with a financial advisor, but looking at long term care insurance is a critical step in the retirement plan process. It is much easier discussing the risks potential health problems can pose to your retirement plan now, while you’re healthy, rather than later when it may be too late. Exploring the viability of long-term care insurance can provide peace-of-mind and flexibility to you and your family in the future if something were to happen.